Women may be underrepresented throughout the tech sector, but they’re building some incredible startups. The folks over at Product Hunt have created and curated a list of the best startups and products founded by women. VCs, entrepreneurs, and Product Hunt members have all weighed in on their favourites. From uBeam’s innovative wireless charging technology to Hopscotch’s program for teaching kids how to code, the products women are making are changing the world. Front lets you collaborate on email responses with your team without cluttering up your inbox with a confusing set of back-and-forth responses. Front also lets you work under a group email address to collaborate on composing emails. In August, the Y Combinator alum told VentureBeat it had already raised $US1.5 million of its $US2.5 million funding round from a group of anonymous Silicon Valley investors. Front is led by CEO Mathilde Collin. 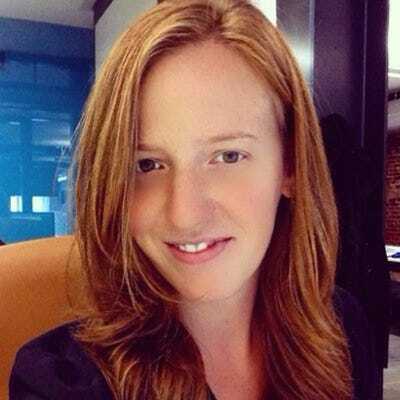 Danielle Morrill, Mattermark CEO and cofounder. Danielle Morrill, Kevin Morrill, and Andy Sparks are the dream team behind Mattermark. Mattermark is a data platform that helps VC firms keep tabs on up-and-coming startups. Mattermark's software lets users look at information about startups based on news stories, Twitter, SEC filings, AngelList, CrunchBase, and more. The company has raised $US3.4 million in three rounds from investors including Great Oaks Venture Capital and Andreessen Horowitz. Mattermark is led by CEO Danielle Morrill. Hopscotch founders Jocelyn Leavitt and Samantha John. Hopscotch teaches kids how to code in a way that's fun and not intimidating. It's the first programming language that's designed for mobile, too. 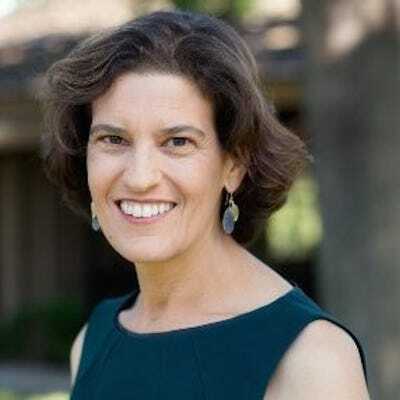 of funding from MESA+, Kapor Capital, Collaborative Fund, and Resolute.vc. 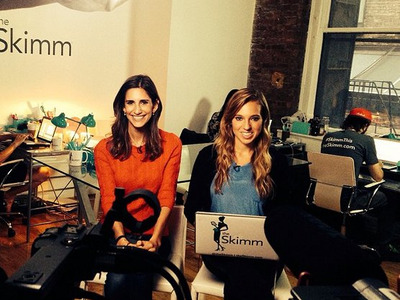 TheSkimm cofounders Carly Zakin and Danielle Weisberg. Carly Zakin and Danielle Weisberg quit their jobs at NBC to launch theSkimm, a daily newsletter that gets sent to your inbox every morning with the day's top stories. The two raised $US1.6 million in seed funding earlier this year from AFSquare, Five Island Ventures, Richard Greenfield, Gordon Crawford, Troy Carter, RRE Ventures, Homebrew, and Bob Pittman. 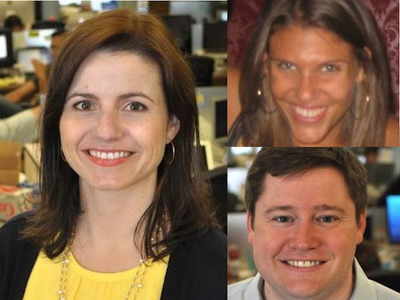 weeSpring founders Allyson Downey, Melissa Post (upper right), and Jack Downey (bottom right). weeSpring is an ecommerce platform that has expecting parents and parents of newborn babies in mind. Users can ask for advice, share stories, and compare products. You can even start a registry. weeSpring has raised $US700k in two rounds from Empire Angels and Techstars. 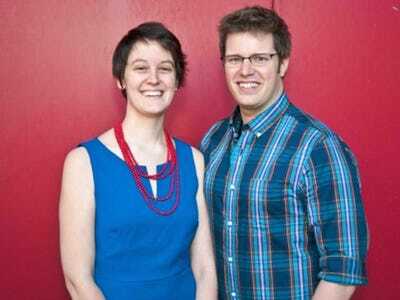 It was cofounded by Melissa Post and Allyson and Jack Downey. Brit + Co. founder and CEO Brit Morin. Brit Morin is Silicon Valley's answer to Martha Stewart. The former Googler's ecommerce and DIY project startup, Brit + Co, lets users curate crafty ideas and buy monthly DIY craft kits. Brit + Co. has raised $US7.6 million from investors like Cowboy Ventures, Yahoo's Marissa Mayer, Index Ventures, and Lerer Hippeau Ventures. uBeam founder and CEO Meredith Perry. After getting stuck in a college lecture with a dead laptop and no charger, Meredith Perry decided she needed to find a solution to fix the most annoying part of mobile devices: their chargers. 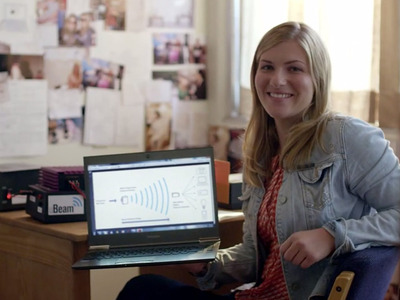 Her solution: uBeam, which uses ultrasound waves to wirelessly charge devices. 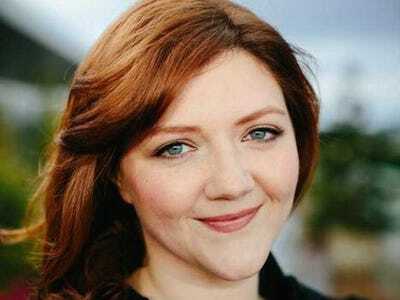 She's raised $US13.2 million -- and most recently a $US10 million round in October -- from investors like Andreessen Horowitz, Mark Cuban, Troy Carter, Tony Hsieh, and Yahoo CEO Marissa Mayer. Alexa von Tobel, LearnVest's CEO and founder. Alexa von Tobel's LearnVest is chock-full of articles, advice, and other resources to help you become a better financial planner. LearnVest has raised $US69 million in five rounds from Northwestern Mutual, Accel Partners, American Express Ventures, and more. 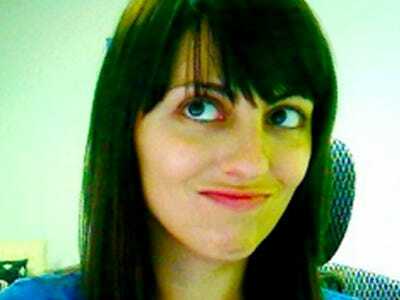 Deena Varshavskaya, CEO of Wanelo. 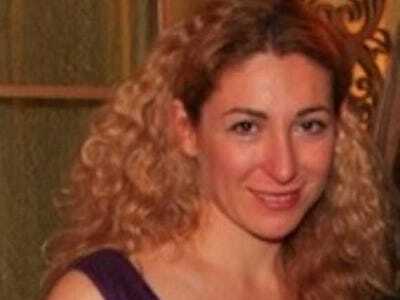 Wanelo -- which stands for 'want, need, love' -- is Deena Varshavskaya's startup that lets you shop for clothes from 350,000 stores, right from your phone. Wanelo raised $US14 million in two rounds from investors like Stan Chudnovsky, James Currier, Red Swan Ventures, Ooga Labs, Naval Ravikant, First Round, Floodgate, Forerunner Ventures, Aayush Phumbhra, and Roger Dickey. 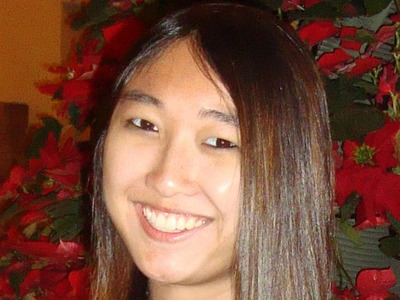 Jessica Mah, inDinero's product architect and CEO. Jessica Mah is the CEO and product architect of inDinero, a startup that handles accounting and payroll management for small businesses. 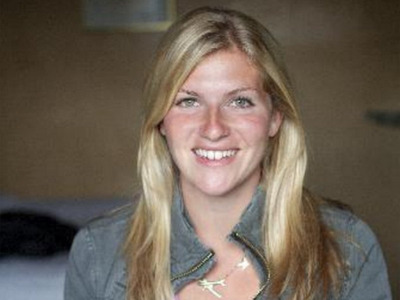 (She's also one of the best people to follow on Twitter, according to Marc Andreessen). inDinero has raised $US1.2 million in three rounds of funding. 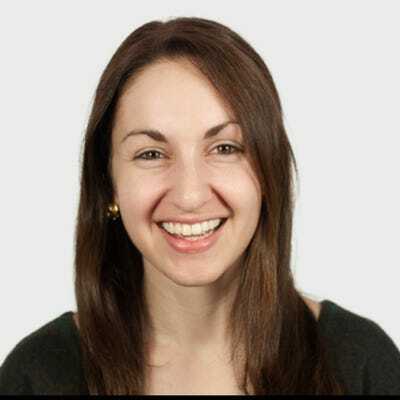 Jessica Richman is the cofounder and CEO of Y Combinator alum uBiome, a biotech startup researching the microorganisms that live inside the human body. uBiome was initially financed by crowdfunding: its 2013 IndieGogo campaign raised $US351,193 of its $US100,000 goal. uBiome has raised $US5 million from Andreessen Horowitz, 500 Startups, and Y Combinator. 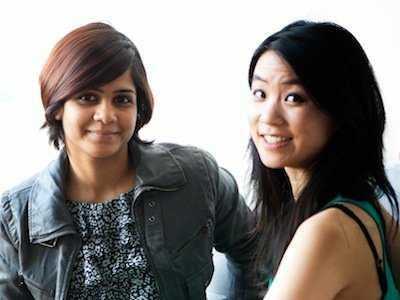 True&Co founders Aarthi Ramamurthy and Michelle Lam have the secret to finding the perfect bra -- and after filling out a questionnaire on True&Co's website, you can buy one, too. 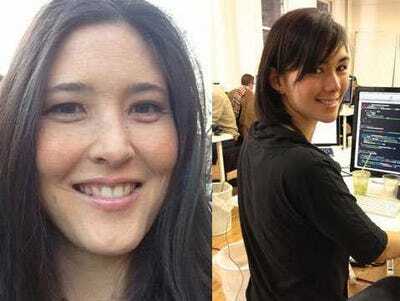 The two women created an algorithm that builds better fitting bras by using data from more than half a million women. True&Co has raised $US6 million since its founding in 2012. 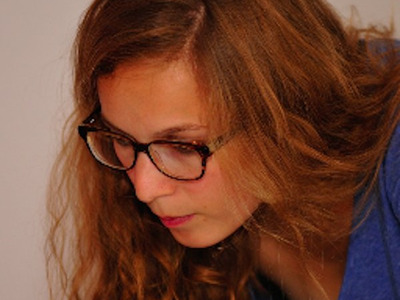 Mara Zepeda is the cofounder and CEO of Switchboard, a Portland, Oregon-based startup that cities, universities, and other communities use as a classifieds service. Switchboard has raised $US45,000 from the Portland Incubator Experiment. Kegan Schouwenburg, cofounder and CEO of Sols. Kegan Schouwenburg got the idea for her startup Sols back when she worked at 3D printery Shapeways, while walking around the factory floor in her black leather platform boots. Sols is a startup that 3D prints orthopedic shoe insoles. The startup has raised $US8.2 million from investors including Grape Arbor VC, FundersGuild, Felicis Ventures, Rothenberg Ventures, RRE Ventures, Lux Capital, and Founders Fund. 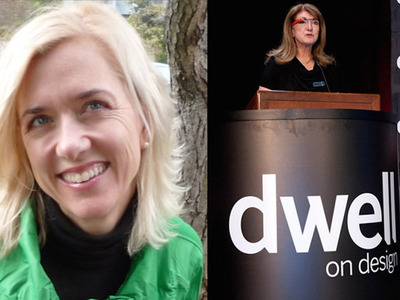 Dwell Media's Lara Deam and Michela O'Connor Abrams. Dwell Media has been around for a decade, and it's still the arbiter of the modern home and design -- it is both a resource and store for those means. Its owner and founder is Lara Deam, and its president is Michela O'Connor Abrams. Diane Loviglio and Gil Tolle, Share Some Style's founders. Diane Loviglio got the idea for Share Some Style when she and Gil Tolle found themselves staring at their closets day after day, asking themselves what they should wear. Tired of their wardrobes, they enlisted the help of two stylists, who happened to be friends of a friend. Share Some Style brings your own personal stylist to you in person (if you live in one of the nine cities the startup serves), or remotely connects you. In June 2014, Share Some Style raised a $US100,000 seed round from 500 Startups. Popforms is an email newsletter packed with career advice, a blog, and a set of courses that are all intended to make you the best technical leader you can be. 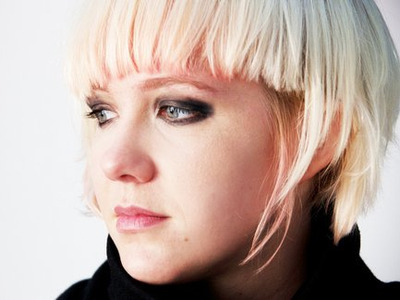 Kate Matsudaira is Popforms' founder. 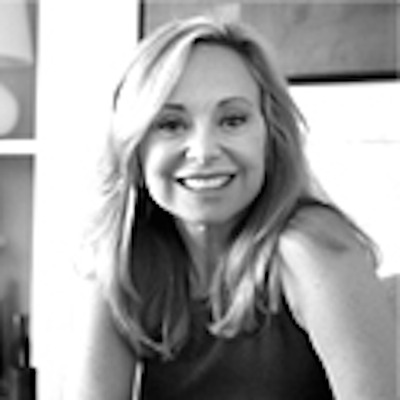 Julie Wainwright, The RealReal founder and CEO. 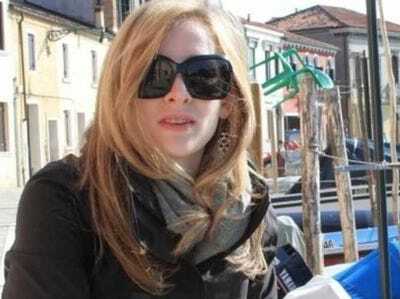 The RealReal is a luxury online resale marketplace founded by Julie Wainwright. In addition to selling Chanel, Manolo Blahnik, and Hermès clothing at up to 90% off of the retail price, The RealReal also offers paintings, drawings, and other fine art. The RealReal has raised $US43 million from investors including Expansion Venture Capital, DBL Investors, Panarea Capital, Novel TMT Ventures, Greycroft Partners, and e.ventures. Kurbo Health's CEO and founder Joanna Strober. Kurbo Health, founded by Joanna Strober, is a mobile app that helps kids and teens lose weight safely. It categorizes food using a stoplight system, in which 'red' foods are bad, 'yellow' foods are ok, and 'green' foods are good. Kurbo Health's mobile platform lets users track the food they eat, as well as the physical activity they do each day, and a trained human coach has a weekly meeting with each user to set goals. Kurbo Health raised $US5.8 million in July from Greg Badros, Susan Wojcicki, Promus Ventures, Bessemer Venture Partners, Data Collective, and Signia Venture Partners. Clara Labs is an automated system that acts like a virtual assistant by scheduling your meetings and helping you manage your inbox. 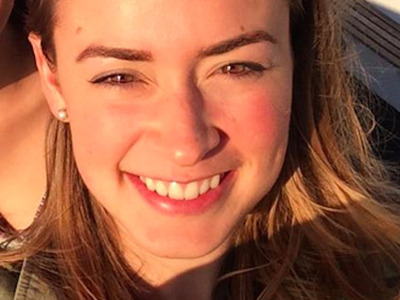 While the company hasn't raised any money yet, cofounder Maran Nelson has confirmed a funding round is in the works.